Home > BOOKS>"Nunes da Rosa - estudo e antologia"
Synopsis: This anthology is not to replace the new edition of the two books of short stories by Nunes da Rosa, which must be done , but to extend the knowledge of his unknown work, making it accessible to local, regional and national readers. It is the work of a man of the late 19th and first half of the twentieth century who, living mostly in Pico, and a little in Flores, Faial and Terceira, lets us know his epoch, where so much precariousness, so much political confusion and lack of education in the formation of nations so that our current "cutting fats status" was the same as "cutting the meat of the state" of that time. In his journalistic work there is an insightful, edgy, critical and full of fine irony and analysis, where the common aspects of modern day times are very evident . There was a deliberate intent to favor the newspapers founded and directed by Nunes da Rosa - A Ordem and Sinos da Aldeia - published in the rural parish of Bandeiras do Pico island, attesting that fact alone and, taking into account the time he lived in, its has a real and remarkable cultural significance . About the author: Nunes da Rosa (1871-1946) born in California and soon returned to Pico, studied in Horta's Highschool and in the Seminary of Angra do Heroismo. Was a vicar in the Mosteiro das Flores and Bandeiras do Pico, and was a fine storyteller, a pioneer in starting a literature of Azorean identity, where the experiences of the islands of Flores (Pastorais do Mosteiro) and Pico (Gente das Ilhas) are notedly pointed, to the extent that Tomás da Rosa stated that 'Nunes da Rosa is the most authentic representative of the literary azorianity, superior to Florêncio Terra and similar to Vitorino Nemésio and Cortes Rodrigues". 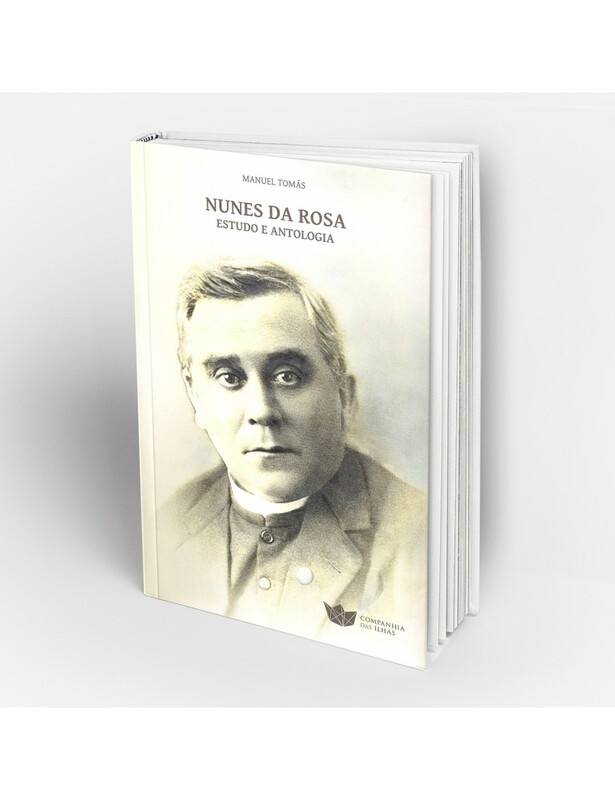 Nunes da Rosa was clearly ahead of his time, in many ways: as a decided regionalist in the field of Literature and as a man of progressive vision in the field of education, and agricultural education particularly, appealing strongly to the attendance of school, because only then the sustainable improvement of quality of life perceived to be possible and desirable. Staunch monarchist, Nunes da Rosa used the word in its most complex literary, educational, political and religious aspects, urging for the progress of his island . Major published works: "Picolândia » (chronicles , Companhia das Ilhas, 2012), 'Between there and know what" (poetry, Issues Vieira da Silva, 2012) , "A Música das Sete Cidades" (essay, CAIP 1999) , ""Miragem do Tempo" de Tomás da Rosa" (critical edition, Centro Cultural da Horta, 1996), "Eca de Queiroz, Fernando Pessoa e Sttau Monteiro" (essays, Teaching Press, 1978), 'Elementos para um estudo actualizado da língua' (essay, Teaching Press, 1978). Organized and set the text of two books of short stories by Tomás da Rosa, published by the Centro Cultural da Horta, 'Ilha Morena' (2003 ) and "A Tarde e a Sombra'( 2005).